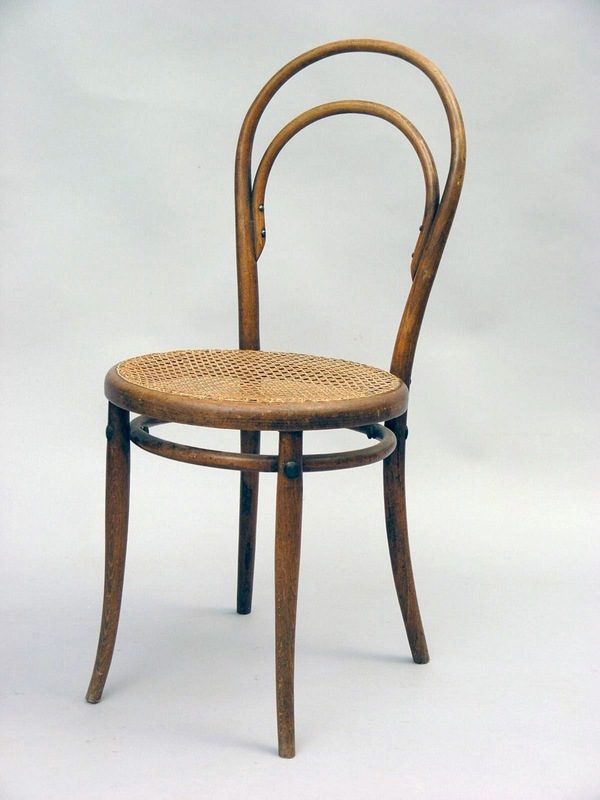 After Thonet had made a number of experiments into the practicality of steam bending, this particular chair design developed into the first mass-produced chair in history. When certain types of wood are steamed, they become flexible, and can be bent into shape around a former. Steam bending means less waste, so it is an economical and environmentally friendly method of production. 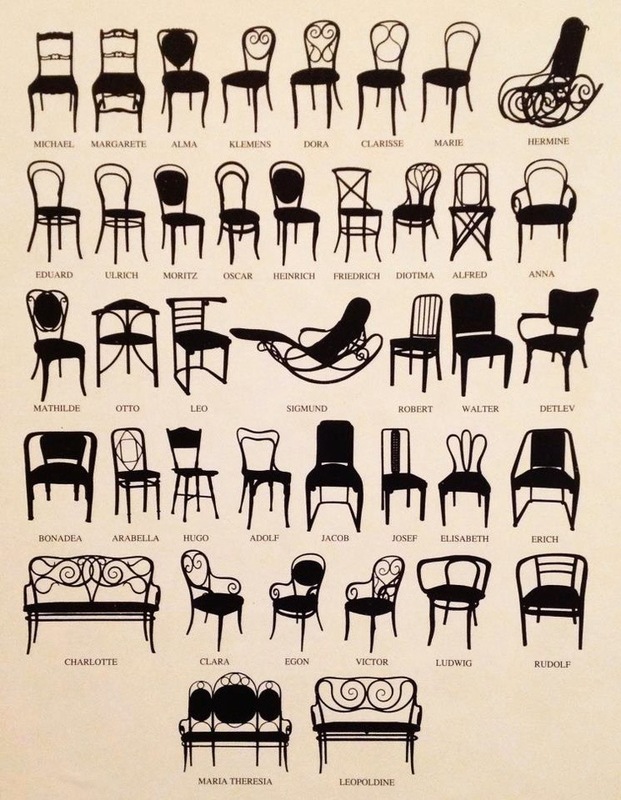 You can see the steam bending process in the Thonet factory here. The design was very advanced for it’s time and had several advantages. 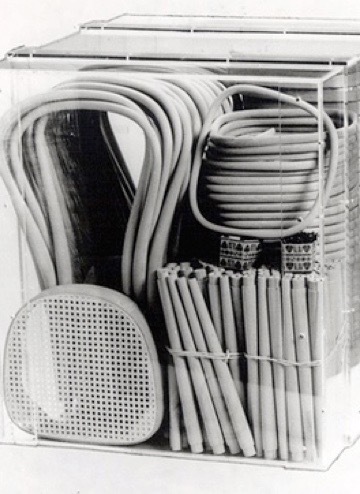 For instance, 36 disassembled chairs packed into a one cubic metre box for transportation. The chair became an icon of Viennese coffee-house culture, and over 150 years later it is still in production. 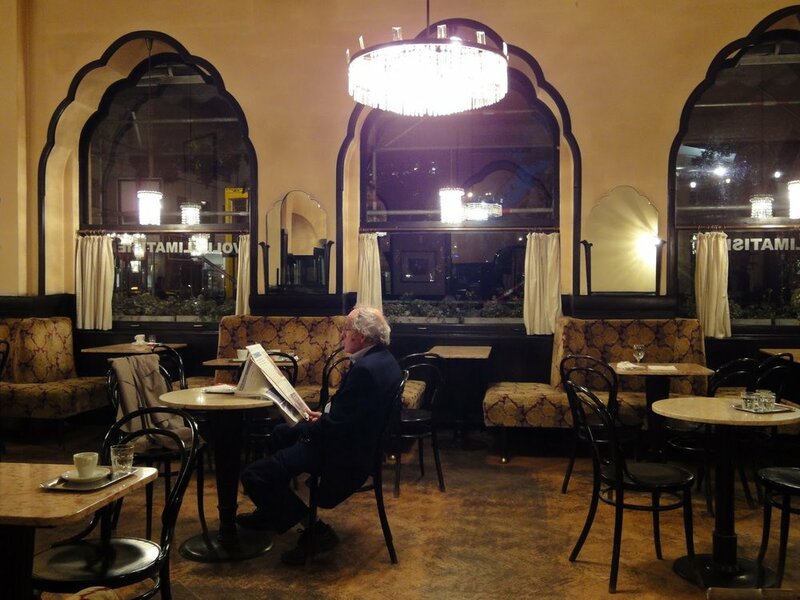 The background for this paper model references the interior of a Viennese coffee house. They often have high ceilings and arched windows, as well as upholstered benches and low white curtains to provide a little privacy from the street view. And, of course, lots of coffee house are still using Thonet chairs today.